The patch 1.28c for warcraft III was released on May 10th, and updates Warcraft 3 The Frozen Throne to version 1.28.2.7395. 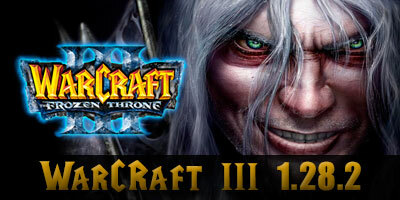 Click on the link to download the patch 1.28c for Warcraft III (english). – Since the patch 1.28a all updates are automatic with the new launcher. – The file War3TFT_128c_English.exe is no longer available.